The Long-Term Financial Assistance Program assists eligible senior adults who do not have income or assets available to cover the costs of their care needs and living expenses. Individuals may receive assistance whether they reside in their homes, apartments, independent living facilities, or assisted living facilities. 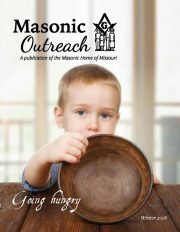 In Fiscal Year 2018, the Masonic Home provided $926,513 of long-term financial assistance. Individuals who qualify for long-term financial assistance are senior Missouri Masons, their wives or widows, and Eastern Star ladies in good standing. Applicants must complete an application to demonstrate a financial need.